Zimbabwe is likely to revoke the recent amendment to fiscal law that stops mining companies from claiming royalties for tax purposes. The move to prohibit mining companies from claiming royalties for tax purposes is seen as likely dissuading potential foreign investors into the mining sector. 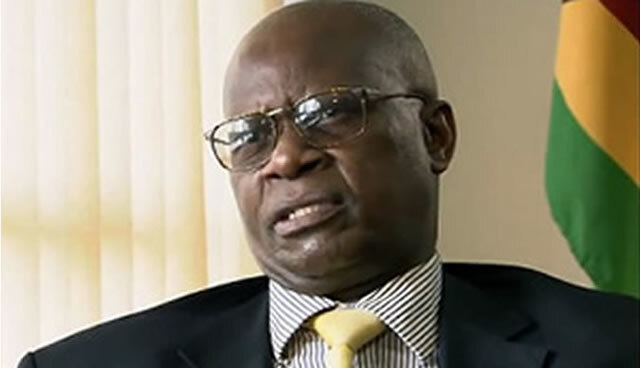 During the presentation of the 2014 National Budget in December last year, Finance Minister Patrick Chinamasa said the Government had determined an amendment to making mining royalties non-deductible for income tax purposes. However, according to miningmx, Mines and Mining Development Minister Walter Chidhakwa told a panel at the ongoing Mining Indaba in South Africa that the abstraction of tax deductibility would have a negative impact on attracting new investment in the sector. “The mining sector proposed review of the mining tax regime in order to promote investment and facilitate exploitation of low grade ores. “Treasury will be undertaking a comprehensive review of the fiscal mining regime, with a view to ensure a balance between the viability of the mining industry and revenue inflows to the fiscus,” he said at the time. World Bank studies show that Zimbabwe requires investment requirements in excess of US$12 billion into existing projects and known deposits. If such investment is acquired, the country’s mining sector could generate over 56 000 jobs and significant growth in exports. Meanwhile, Minister Chidhakwa encouraged investors to have an open door approach, signalling that the Government was open to addressing their concerns. He was speaking during a side event at the ongoing Mining Indaba organised by strategy consultancy, africapractice, and law firm Webber Wentzel. He challenged mining companies to approach the Government with mutually beneficial solutions on how companies could meet profit-oriented shareholder obligations, while empowering the Zimbabwean people. Minister Chidhakwa was part of a panel that included Mr Mathius Tongofa, the Deputy Minister of Youth, Indigenisation and Empowerment, Mr Alex Mhembere, the president of the Chamber of Mines OF Zimbabwe and Zimplats chief executive and Mr Gary McMahon, senior mining specialist at the World Bank. The side event was organised as a platform to provide clarity to international investors on mining policy and Government’s direction on the implementation. Mr Mhembere, echoed the minister’s sentiments, saying the industry was in full support of Government’s initiatives to use the mining industry as a catalyst for growth in other sectors of the economy and increase local beneficiation. He added that the industry, particularly the platinum sector was reaching the 500 000 ounces output level that would make a local refinery commercially viable. Mr McMahon from the World Bank highlighted the importance of downstream benefits that the mining industry could provide, indicating that in some countries, service providers to the mining sector contributed more than 60 percent to the sector’s output. Mr McMahon indicated that the institution was currently working on a study on how Zimbabwe’s mining sector could play a bigger role in growing industries in the mining supply chain. The findings of this study and recommendations will be presented to the Government. Commenting on the discussions, event organiser, Mr Rishon Chimboza of africapractice said, “The largest investors in Zimbabwe and senior representatives from some of the world’s largest mining companies and financial institutions attended the event. Mr Chimboza continued, “…going forward we certainly expect to see more direct dialogue between the international investors and the ministry to avoid confusion on the country’s laws and regulations.” — BH 24.